Thus says the LORD, the King of Israel, and his Redeemer, the LORD of hosts: I am the first and I am the last; besides me there is no god. Who is like me? Let them proclaim it, let them declare and set it forth before me. Who has announced from of old the things to come? Let them tell us what is yet to be. Do not fear, or be afraid; have I not told you from of old and declared it? You are my witnesses! Is there any god besides me? There is no other rock; I know not one. Remember these things, O Jacob, and Israel, for you are my servant; I formed you, you are my servant; O Israel, you will not be forgotten by me. I have swept away your transgressions like a cloud, and your sins like mist; return to me, for I have redeemed you. Sing, O heavens, for the LORD has done it; shout, O depths of the earth; break forth into singing, O mountains, O forest, and every tree in it! For the LORD has redeemed Jacob, and will be glorified in Israel. Morning Devotions with Cap'n Kenny - "A Literal Paradise"
The late Isaac Asimov said, "I don't believe in an afterlife, so I don't have to spend my whole life fearing Hell, or fearing Heaven even more. For whatever the tortures of Hell, I think the boredom of Heaven would be even worse." Trust me. Heaven will not be boring. Some people think of Heaven in a mystical way, with clouds and more clouds and people floating around. Others think of Heaven as a really long church service. But what is Heaven really like? I'll begin by saying that Heaven is an actual place. Jesus said, "I go to prepare a place for you" (John 14:2). A place—that is very important for us to remember. Heaven is a real place for real people to do real things. We need to think of it that way. Heaven is also described as a paradise. When the thief on the cross said to Jesus, "Lord, remember me when You come into Your kingdom" (Luke 23:42), Jesus said, "Assuredly, I say to you, today you will be with Me in Paradise" (verse 43). The apostle Paul said the same thing. He died and went to Paradise. That is an interesting word, because in the original language, it's actually a word to describe a walled garden like the king of Persia would have had. Think of a palatial estate with a manicured garden that goes on forever, with every kind of fruit and flower. That is the word Paul used to describe Heaven after God brought him back. Paul was thinking of the best thing he could imagine, saying it was like paradise to him. That doesn't mean it can't be beautiful on this planet. We see God's glory on display in His creation, even in a fallen state. But Heaven is a paradise. Today’s reading is drawn from Luke 9:51-56. 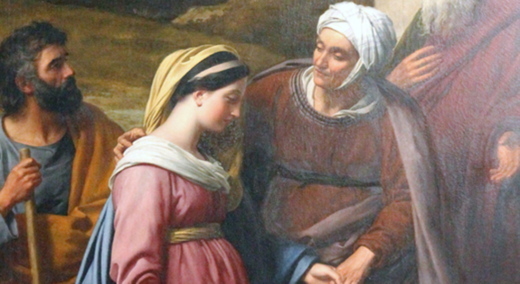 Fueled by their prejudice against the Samaritans (John 4:9), Jews commonly bypassed their land by journeying along the east bank of the Jordan River. But traveling south from Galilee to Jerusalem, Jesus and His disciples headed straight through Samaria (Luke 9:52). Jesus deliberately chose the more direct route, as if He welcomed a fight. Confrontation erupted at the first village. The Samaritans did not want Jesus or His followers there, and the disciples surely did not want to be there. Insulted by the Samaritans’ rejection of Jesus, the disciples offered to call down fire from heaven. They argued that Elijah had done as much. Centuries of ethnic hatred and bitterness nearly lit the flame of violence. No wonder Jesus emphatically rebuked His followers. He saw that they were blinded by their presumed religious and ethnic superiority. So He reminded them of His mission. He had come not to destroy people but to save them—including the Samaritans. 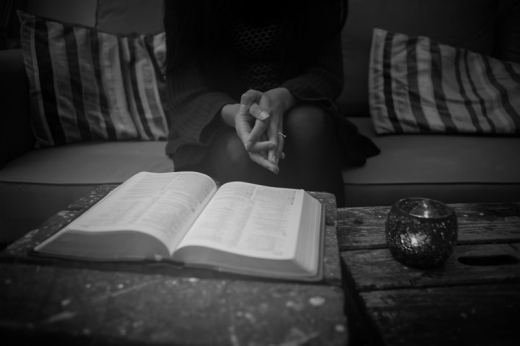 Girlfriends in God - When You Don’t Feel Saved? “I know whom I believed, and am convinced that he is able to guard what I have entrusted to him for that day,” (2 Timothy 1:12, NIV). This is an open book test.J Click over to my Facebook page and leave your answer. 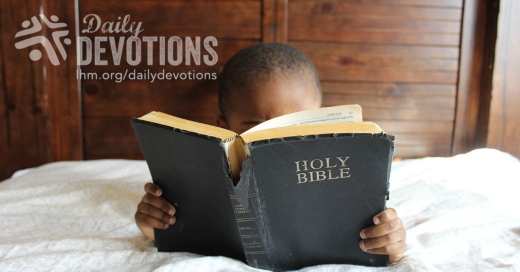 Today’s devotion was taken from my book, I’m Not Good Enough…and Other Lies Women Tell Themselves. If you’ve been believing the enemy’s lies that you are not good enough, totally worthless, would be happy if…, etc. 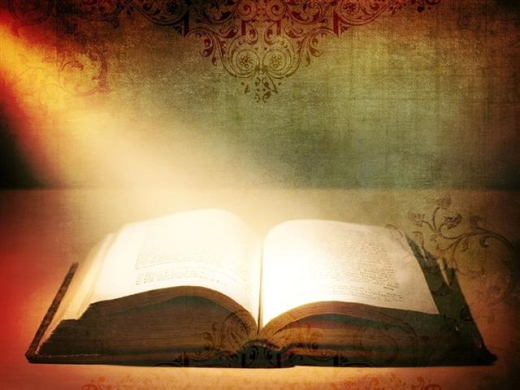 and are ready to begin living in victory by believing God’s truth, then this book is for you! It’s time to be set free to see yourself as God sees you: His holy, chosen, forgiven, and dearly loved child. Now that’s a truth worth repeating. And for the married GiG’s check out my latest book, A 14-Day Romance Challenge: Reigniting Passion in Your Marriage with over 250 ways to romance your man. 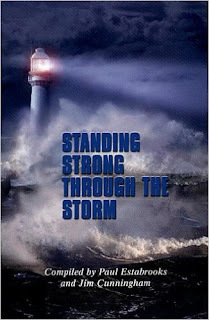 LHM Daily Devotion - "Be Strong, Fear Not"
Deliverance -- a life of freedom with one's deliverer. The prophet Isaiah is speaking about God's future deliverance to a people who are about to be run over by a warrior nation, carried off into captivity, and struggle. Isaiah tells them amidst these real fears, fear not. 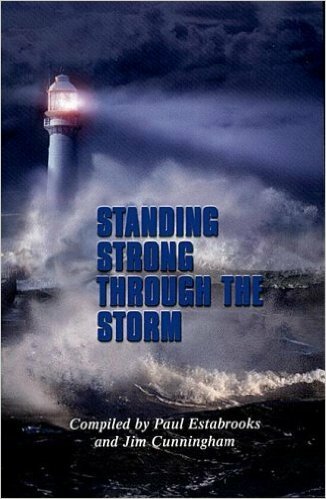 He tells them amidst their obvious weakness to be strong because God has not abandoned them. He will, in fact, still come for them to rescue them, to redeem them, and to set them free. With that in mind, he tells them to trust in God no matter what! There are times in our lives when the fear is palpable, right? There are times when trust is hard to come by -- trust in ourselves, trust in others and, yes, trust in God. There are the fears of impending bills or illnesses or tragedy. We see violence around us and begin to fear for our safety or even our way of life. Be strong, fear not? That seems a bit like a pipe dream. So when Isaiah talks about rescue, a way through, he must be talking about something or someone so amazing that such a thing can actually be true because of it. He does. He says it this way, "Behold, your God" in all things because He's coming He will change everything. His work on your behalf will make all the difference. In 1989, an earthquake in Armenia needed only four minutes to flatten the nation and kill 30,000 people. Moments after that deadly tremor ceased, a father raced to an elementary school to save his son. When he arrived, he saw the building had been leveled. Looking at the mass of stones and rubble, he remembered a promise he had made to his child. He said this: "Son, no matter what happens I will always be there for you." Driven by his promise, he found the area closest to his son's room and he began to pull back the rocks. Other parents arrived and began sobbing for their children. "It's too late," they told the man. "You know they are dead. You can't help." Even a police officer encouraged him to give up. But the father refused. For eight hours, then 16 hours, then 32 hours, then 36 hours, he dug. His hands were raw. His energy gone, but he refused to quit. Finally, after 38 wrenching hours, he pulled back a boulder, and he heard his son's voice. He called his boy's name: "Arman! Arman!" A voice answered him, "Daddy, it's me!" Then the boy added these priceless words: "I told the other kids not to worry. I told them if you were alive, you'd save me, and when you saved me, they'd be saved too, because you promised that 'No matter what, I'll always be there for you.'" That little boy strengthened weak hands and he made firm feeble knees. Why? Well, he knew that his father loved him and would find a way to come to him. With that confidence, he encouraged the others because he knew his father would come for them too. Isaiah is comforting us with an even greater truth. Christ has come for all. Christ is alive here and now for you. Christ will bring you home to be with Him forever. He has made a way. He has made a path -- not for you to come to Him but for Him to come for you. Count on it. THE PRAYER: Dear Jesus, let my strength and fearlessness be rooted in Your promises to be with me, to guide me in Your Word, and to take me home to be with You no matter what I face today. Amen! Nunca he visto de cerca un tiburón de dieciséis pies y medio de largo, y tampoco quiero verlo. Se me ocurre que Ana tampoco hubiera querido verlo. Ana estaba haciendo surf en Tasmania, cuando fue atacada por un tiburón que la hundió y la sacudió hasta que, cuando parecía que todo estaba perdido, con la ayuda de su primo Jorge, logró zafarse. Jorge la subió a su tabla de surf, y con la ayuda de una ola la llevó a la costa, donde fue atendida de sus heridas. Pensando en lo que había pasado, Jorge dijo: "No soy creyente, pero la ola perfecta que vino en el momento justo, tuvo que haber sido enviada por Dios". Me gustaría poder decirle a Jorge que quizás es hora de que se vuelva creyente... es más, quizás es hora de que se ponga a pensar en que llegará el momento en que la tabla de surf no le va a servir para escapar de la muerte. A todos nos llega la muerte. A algunos les llega con un tiburón; a otros con un infarto, o cáncer, o un accidente, o... la lista es interminable. Dios sabía que la muerte nos espera a todos. Por ello es que envió a su Hijo para que se ofreciera como rescate por nuestra salvación. Al morir en la cruz y resucitar al tercer día, Jesús venció el poder de la muerte, y nos abrió la puerta hacia la vida eterna. Más aún, sabemos que nuestro Señor está siempre a nuestro lado. Como escribe el Salmista: "Pero tú, Señor, no te alejes; fuerza mía, ven pronto en mi auxilio. Rescátame de la boca de los leones."... o de tiburones... o accidentes... o enfermedades. ORACIÓN: Querido Señor Jesús, te doy gracias porque nunca estás lejos de mí y te bendigo por todas las veces que tu gracia me ha rescatado. Ayúdame a confiar cada vez más en tu constante protección. En tu nombre. Amén. Looking for hope in the middle of difficult circumstances? Read Hope: Choosing Faith Instead of Fear at discoveryseries.org/q0733. 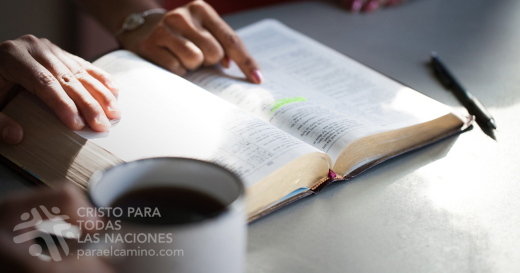 Si mal viniere sobre nosotros, […] clamaremos a ti, y tú nos oirás y salvarás (2 Crónicas 20:9). Der französische Maler Henri Matisse hielt die Werke aus seinen letzten Jahren für die besten. Er experimentierte mit einem neuen Stil und schuf farbenfrohe, großformatige Bilder aus Papier statt Farbe und hängte sie an die Wände seines Zimmers. Das war für ihn deshalb so wichtig, weil er an Krebs litt und oft im Bett liegen musste. Krankheit, Jobverlust oder seelische Nöte bezeichnen wir oft als „finsteres Tal“, in dem Angst und ein Gefühl der Bedrohung alles andere überlagern. Das Volk Juda erlebte Ähnliches, als es hörte, dass ein feindliches Heer im Anmarsch war (2.Chron. 20,2-3). Sein König betete: „Wenn Unglück [kommt] . . . werden wir . . . zu dir schreien in unserer Not und du wirst hören und helfen“ (V.9). Und Gott antwortete: „Morgen zieht [den Feinden] entgegen! Der Herr ist mit euch“ (V.17). Als Judas Heer auf dem Schlachtfeld ankam, hatten die Feinde sich schon gegenseitig niedergemetzelt. Drei Tage brauchte Gottes Volk, um die zurückgelassenen Geräte, Kleider und Wertgegenstände einzusammeln. Ehe sie abzogen, versammelten sie sich, um Gott zu loben und nannten den Ort „Lobetal“. Gott ist auch an den Tiefpunkten unseres Lebens dabei. Auch in den Tälern können wir Grund zum Loben finden. Lieber Gott, hilf mir, vor Problemen keine Angst zu haben. Lass mich glauben, dass deine Liebe und Güte mir alle Tage meines Lebens folgen werden. Gott ist Meister darin, aus Lasten Loblieder zu machen. Французский художник Анри Матисс наилучшим образом раскрыл свой талант в последние годы жизни. В то время он экспериментировал с новыми стилями, создавая яркие, многоцветные рисунки на бумаге, вместо того чтобы писать на холсте. Этими яркими изображениями он увешал стены в своей комнате. Ему это было нужно, потому что у него был рак, и он проводил много времени в кровати. Заболеть, потерять работу, пережить утрату – все это примеры того, что некоторые называют «прохождением долины», где страх поглощает все остальное. Народ Иудеи испытал это, когда услышал об огромной армии врагов (2 Пар. 20:2-3). Их царь молился: «Если придет на нас бедствие... то мы станем... и воззовем к Тебе в тесноте нашей, и Ты услышишь и спасешь» (2 Пар. 20:9). Бог ответил: «Завтра выступите навстречу им, и Господь будет с вами» (2 Пар. 20:17). Когда иудейское войско прибыло на поле боя, враги уже истребили друг друга. Божий народ три дня собирал добычу и оружие. Прежде чем уйти, они собрались, чтобы прославить Бога, и назвали это место «Долина благословения». Бог идет вместе с нами через трудные долины жизни. Он может и в них послать нам обилие Своих благословений. Боже, помоги мне не бояться при виде трудностей. Помоги верить, что Твоя благость и любовь будут сопровождать меня. Бог любит обращать бремена в благословения. 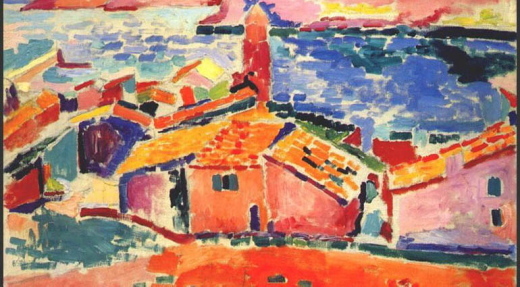 L’artiste français Henri Matisse trouvait que c’est au cours de ses dernières années de vie que son oeuvre le représentait le plus fidèlement. Durant cette période, il a fait des expériences visant l’élaboration d’un nouveau style, créant des images colorées à grande échelle à l’aide de papier au lieu de peinture. Il a décoré les murs de sa chambre de ces images aux couleurs éclatantes, auxquelles il accordait un grand prix du fait qu’on lui avait diagnostiqué un cancer qui l’obligeait souvent à garder le lit. À son arrivée sur le champ de bataille, l’armée de Juda a constaté que ses ennemis s’étaient entretués. Le peuple de Dieu a alors passé trois jours à récupérer l’équipement, les vêtements et les biens précieux abandonnés sur place. Avant de repartir, les Israélites se sont réunis pour louer Dieu et ont nommé cet endroit « la vallée de Beraca », qui signifie « bénédiction ». Comme Dieu traverse avec nous les vallées de la vie, il peut nous faire découvrir les bénédictions qu’elles recèlent. Dieu excelle dans l’art de changer des fardeaux en bénédictions.